Alternative Pencils - What are they? Click link below to go to the Center for Literacy and Disability Studies, University of North Carolina. Developed at the Centre for Literacy and Disability Studies (CLDS), and written about by Hanser (2006, 2009), an alternative pencil is defined as anything that provides a student with access to all 26 letters of the alphabet for use in writing. During each writing session, the teacher models use of the student’s alternate pencil, the student writes, and the student reads back his writing- all of this is done with varying and appropriate levels of support. Writing with alternate pencils allows students with significant disabilities to develop beginning writing skills by supporting them to go through the same developmental writing phases typically developing students do. Alternative pencils also address a students’ other developing abilities like eye gaze or switch use. 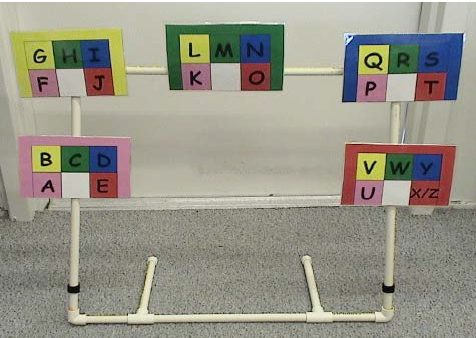 For example, the alphabet eye gaze frame may be helpful for students who are learning to eye gaze. 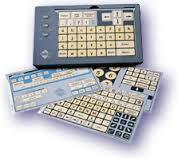 The print flip chart or onscreen keyboards may be helpful for students who are learning to use switches. For many of the pencils, perfect vision and/or hearing are not needed. Alternative “pencils” were created for students who are unable to hold a traditional pencil or physically manipulate a standard keyboard. Alternative pencils can be used with writers of varying abilities and ages including students who are emerging writers and those who are able to write more conventionally (Browder & Spooner, 2011). 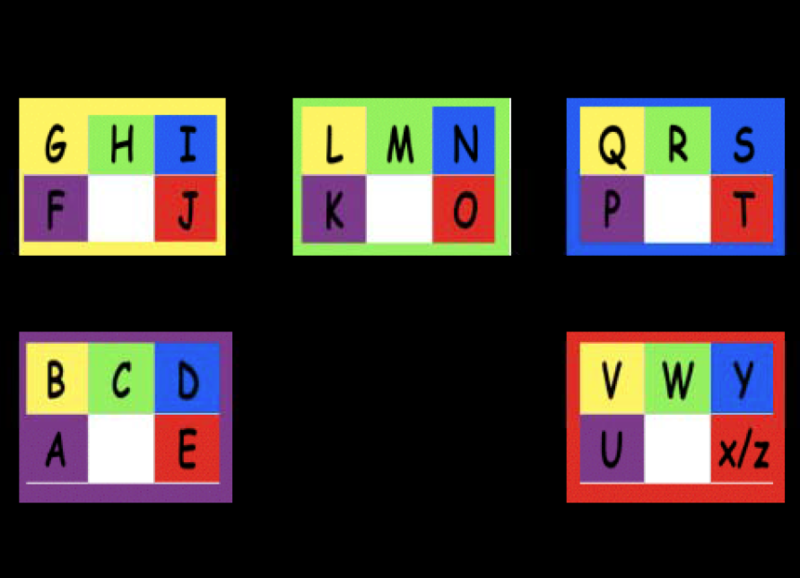 A student is given all the letters of the alphabet to write with, chooses the letter they want (whether they know the letter or not) and either the partner writes it down for them where the student can see or the student chooses the letters via their adapted keyboard. 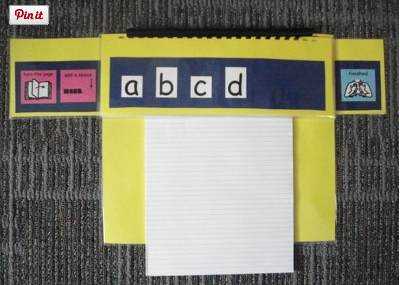 For an emergent writer, the student’s partner tells the student the name of the letter, the sound it makes and reads the letters back to them once the student indicates he is finished. Over time meaning is ascribed to the writing much the same way we ascribe meaning to the writings of a typically developing child, “Oh, you wrote an E! E is in your name!” It is important here to avoid the “readiness” model in which students must first demonstrate competency in certain skills before being given opportunities to write. Emergent literacy learning should be full of rich and engaging interactions with peers, teachers and educational assistants, during meaningful literacy activities. The quality of these interactions determines a students’ success. Writing without standards frees students to generate and focus on ideas. We do not “help” the student spell or correct their grammar, instead we encourage invented spelling so the students can begin to apply their burgeoning knowledge and we find meaning in their message. We do not direct or interfere with the students' writing in any way except to say “tell me more” or perhaps read what has been written. This is not to say that students will not have instruction regarding grammar, spelling and mechanics; that is part of a comprehensive literacy program but it will be taught in a different context another time. When the student is done we read all that they have written by making the letter sounds and then discuss their writing with them. 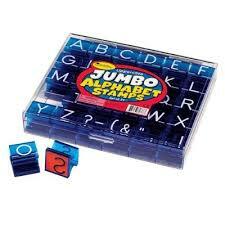 For students who have some physical ability to explore with their fingers. 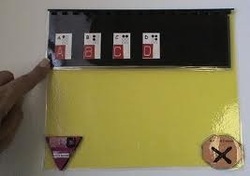 Use a cookie sheet with magnetic letters of the alphabet as an alternative pencil, if the student can point with their finger to choose letters. Emergent literacy learning starts early with the meaningful social interactions that occur between parents and their children. The modeling of writing and the many purposes of print and how it is formed (i.e. watch mom make shopping list, pay a bill or write a card) is embedded in their daily lives. A young child may begin exploring writing by making a mark or scribble on a page (or wall), mimicking what they have seen. Parents quite naturally celebrate the writing their children produce. 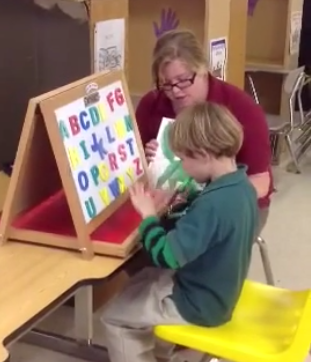 In the process, children develop understandings about print and begin developing the required motor skills. With time and opportunity, a child's' developing understandings become increasingly sophisticated and create the foundation for conventional writing. As a child’s writing moves into the conventional, letters and spellings appear that others can recognize, read and further celebrate. Students with significant disabilities, including those with complex communication needs, have fewer and qualitatively different emergent literacy experiences than their typically developing peers (Koppenhaver et al, 1991; Light & Kelford Smith, 1993; Light, Binger & Kelford Smith, 1994). The physical care involved in students with multiple needs often limits the time available for literacy activities. Limited expectations may also play a role in the availability of writing opportunities. These limited expectations also lessen communication opportunities and social interactions that expose students to the purpose(s) of print. If mobility, positioning and vision issues are not considered and appropriately addressed, simply seeing others write, which provides the model to support understanding about the purpose or function of print, may be nonexistent or fragmented. Sometimes teacher training and education is a barrier as well. Meaningful opportunities and alternative pencils must be available for student with significant disabilities to progress through the same developmental writing phases as their typically developing peers. The following two documents will support you further in developing your understanding around alternative pencils for students with significant disabilities. Browder, D. M., & Spooner, F. (2011). Teaching Students with Moderate and Severe Disabilities. New York, NY, USA: Guilford Press. Hanser, G. (2006). Fostering emergent writing for children with significant disabilities: Writing with alternate pencils. Technology Special Interest Section Quarterly, 16(1), 1-4. Hanser, G. (2009). Write from the start. . .with an "alternative pencil. " Developed by The Center for Literacy and Disability Studies. Retrieved from http://www.med.unc.edu/ahs/clds/products/available-for-purchase.